Belgian firm Solvay is increasing resin production capacity at its plant in Panoli, Gujarat state in India, by 25% to support strong demand for its iultra-high performance polymers KetaSpire and AvaSpire. The materials are used in markets growing at least 8-10% annually. In transportation, these ultra-polymers replace metals and help make cars and airplanes lighter thereby reducing fuel consumption and CO2 emissions. Other key markets include healthcare, electronics and energy. Capacity expansion of the polyaryletherketone resin, used as a base to make KetaSpire polyetheretherketone (PEEK) and AvaSpire polyaryletherketone (PAEK), is already underway to reach more than 1,000 tonnes/year in the third quarter of 2015. 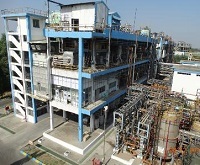 Ever since commissioning its PAEK resin operations in 2008, Solvay has progressively built up resin capacity at Panoli. Its major R&I centre in Savli, also located in Gujarat and about 100 km from Panoli, made important contributions to innovations that are supporting the site’s expansion, says the firm.